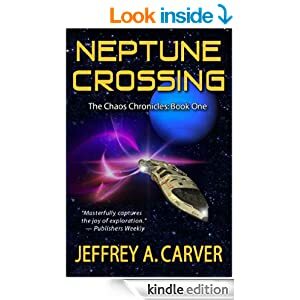 Neptune Crossing is an interesting and thought provoking SF originally published in by Tor 1994. It is out of print though, and a new digital edition has been put out by Starstream Publications. 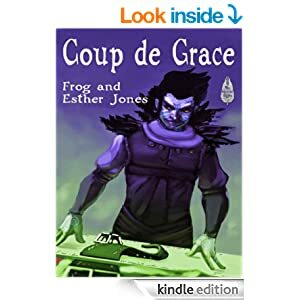 I’m not sure if it’s a small press or the author’s own imprint (since he also writes the Starstream series), but either way, the new publisher is definitely indie. So much like John Dalmas’ The Second Coming, it qualifies to get a review on this site. And anyway, I really wanted to review it. Neptune Crossing takes place in a research and mining outpost on one of Neptune’s moons, Triton. Humans aren’t the first beings to mine on Triton, and there are ghosts of alien habitation covering the moon like almost forgotten scars. Whoever the previous miners were though, they have been gone a very long time–only allowing the human researchers to pick up bits and fragments of what the aliens were like, and small glimpses into what they were doing on Triton. The protagonist John Bandicut–aka Bandicut for short–, comes across as a sympathetic blue collar worker, trying to make his way in the universe and have a little fun while he’s at it. Sure, he drops into these fugue states occasionally due to a malfunction with his neural implant going haywire, but as long as it doesn’t interfere with his work, he’s not harming anyone. He may have a little bit of a misfire between some of his synapses, but that doesn’t mean his whole head is empty. Except, that gap in his brain allows him to pick up a hitchhiker. Bandicut finds a piece of alien tech and is suddenly running around with an alien intelligence in his brain. Charlie, as the alien likes to be called, has been waiting on Triton for a very long time, and wants Bandicut’s help. Help doing what, you ask? Why preventing the earth’s destruction, of course. But can Bandicut really trust the alien? After all, the alien’s plea could be a scam, or even just a home-grown hallucination brought on by Bandicut’s slightly defective brain. You’ll have to read the story to find out. I would recommend skipping over the “Prelude” at the beginning of the book on the first read, though. While it does introduce you to the alien, I didn’t find any information it gave necessary to reading the rest of the story, and honestly, without context you get in later parts of the story, I found it very passive and confusing at best. If you want to go back and read it later, go for it, but I didn’t find it to be a very accurate or compelling entrance to the rest of the story, which is written in a very different tone. That being said, I’m a firm believer of the “prelude” or “prologue” usually being an unnecessary piece, kind of like the human appendix. 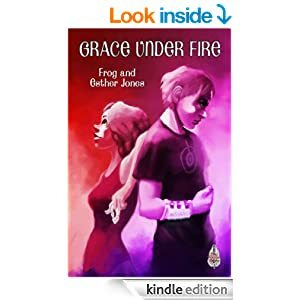 Grace Under Fire in its original form had a prologue which our publisher and editor both targeted as being unnecessary and confusing to first-time readers. Once it was gone, we had to admit they were right. I’m not saying prologues never work; I’m saying: if you start to read the prelude and don’t like it, skip to the first chapter. I also enjoy that while this is a story first published in 1994, it doesn’t feel anachronistic or like the tech is already dated. It also deals with quite a few interesting theoretical concepts in physics and space travel which give the whole story a feeling of depth. This story is rooted in true scifi, rather than fantasy with a science veneer.